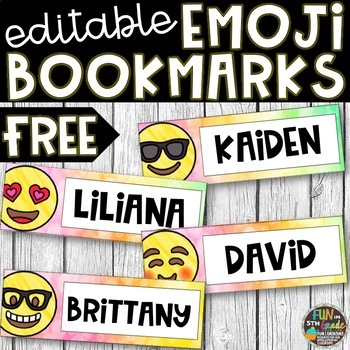 Use these editable bookmarks as a gift for your students by adding their names to them. Could also be used as name tags. Laminating is recommended for durability. A Black & White Version that students could even color and then you laminate.